Unique and beautiful...as usual. I really like what you do. I think I had forgotten to continue dreaming while looking at your creations. *. * That is SO PRETTY!!! Oh, my, this is amazing! Very beautiful! I've added this to my favs, it's very pretty and even though I'm a guy I love roses Tuxedo Mask threw them for Sailor Moon and she's hot! This is incredible. I can't stop staring at it. What program(s) do you use? It was done with program Apophysis 3d ! Awesome, I shall look into this! I love your art, this is one of my favorites. 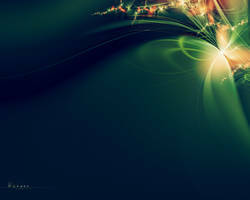 Did you make it in Apophysis 3d? WOW any chance you share the flame or make a tutorial? hey, thanks a thousand times!! wow! 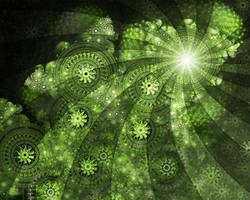 gorgeous use of fractals! Good garden; however, I prefer the warm colors in the upper left corner to the pinks in the middle. I guess the pink there looks a bit too aggressive. But the structure is perfect, as usual.